METCASE has launched a new range of RETEX flat-packed OPEN RACKS that offer easy access to cabling and installations. This new range of 19” racks is ideal for sites where no in-rack cooling is required. Three versions are available: Basic, Cabling and High Density Cabling. OPEN RACKS are the latest great new range of RETEX flat-packed racks. Their launch follows the success of RETEX Logic2 NETWORK RACKS and SERVER RACKS. 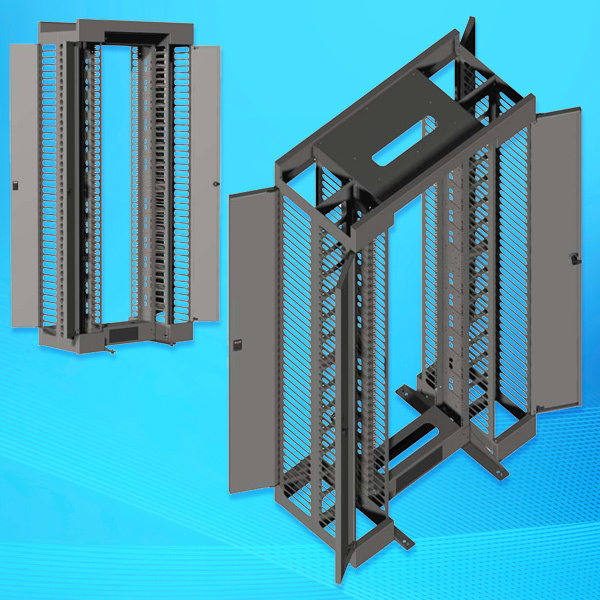 METCASE has launched a new range of RETEX flat-packed OPEN RACKS that offer easy access to cabling and installations. This new range of 19” racks is ideal for sites where no in-rack cooling is required. Three versions are available: Basic, Cabling and High Density Cabling. The flat-packed configuration of these two-post open frame 42U racks makes them very easy to store, transport and install – particularly in locations where access may be difficult. They are ideal for mounting patch panels and network switches and may also be fitted with shelves and supports for computer and data storage equipment – useful in climate-controlled data rooms, laboratories and broadcasting studios. Typical applications for Basic OPEN RACKS include server rooms for cabling or laboratories and sound studios. The Cabling and High Density Cabling 19” cabinets are used for network installations. Their side panels have doors that enable easy access to the cable harnesses. METCASE is the metal enclosures division of OKW Enclosures, Inc. Vice President, Sales, Sean Bailey said: “OPEN RACKS are the latest great new range of RETEX flat-packed racks. “The launch of OPEN RACKS follows the success of RETEX Logic2 NETWORK RACKS and SERVER RACKS,” he added. Mounting points for bolting to the floor or optional casters and feet. Other 19” cabinets available from METCASE include the RETEX Logic2 NETWORK RACKS and SERVER RACKS ranges – both of which come as ‘all in one’ flat packs for easy storage, transportation and assembly. RETEX Logic2 networking racks for cabling and network equipment can be assembled with just eight bolts. These 800 mm wide racks are available in three options: open front and steel rear door; ventilated front and rear mesh doors; single or twin safety glass front door(s) and single steel rear door. 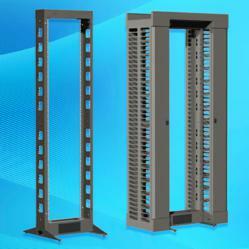 Logic2 SERVER RACKS come in 600 mm and 800 mm widths (1,000 mm deep) with single or double mesh doors. They too can be assembled with just eight bolts. Up to 80 per cent of their surface area can be vented. METCASE also offers a range of 19” wall mount racks – flat-packed EASYRACK units and pre-assembled WITRACK cabinets. For more information about new OPEN RACKS and all other 19” cabinets available from METCASE, please view the website or contact Sean Bailey, Tel: 800-965-9872. METCASE specializes in the design and manufacture of high quality aluminum enclosures for the electronics industry. The METCASE range has been designed to allow for modifications to be carried out with ease. Special sizes and versions of the enclosures can be produced in batch quantities from as little as 10 units. This flexibility provides design engineers with an exceptional range of options for developing new products and variations. METCASE is also the USA representative for the market-leading RETEX range of flat-pack 19” racks, 19” wall cabinets and SERIES 50 extruded aluminum enclosures. METCASE is a division of the OKW Group.